coated in Jubilee Line Grey. You can choose from any of the approved tube stations, and we’ve included some of the most popular choices in the drop down menu. To view the full list of stations currently available please view our station list. 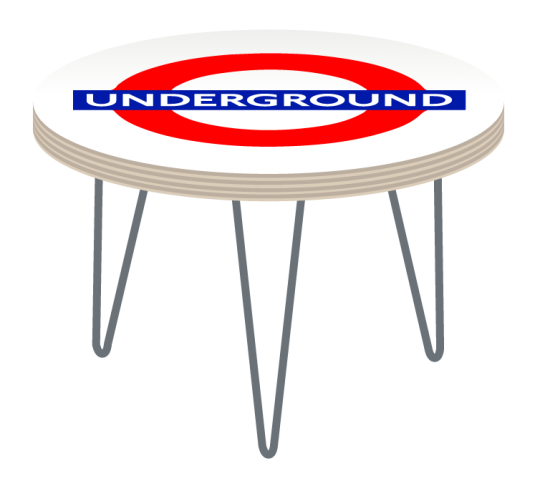 The embossed Spot Tops feature a raised Roundel silhouette and are available in a choice of Underground Line colours. 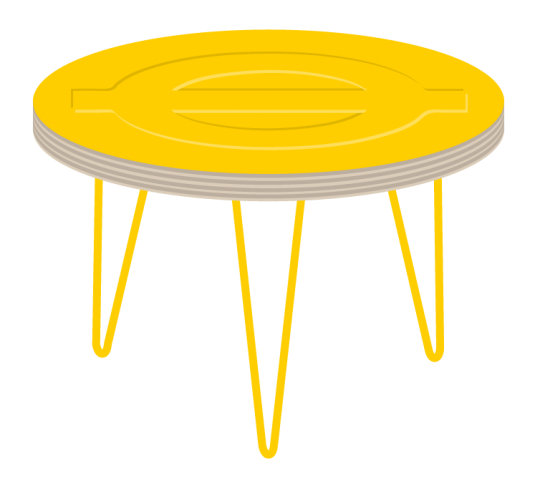 The vitreous enamel top is bonded to 24mm birch ply and features 3 hairpin legs powder coated to match. . Click here to read about how they are made.